This is part 1 of the learning path “Learn How to Fix Blue Screen of Death for Free: Learning BSOD Analysis” in this post we will cover all the tools you need and how to set them up, so you can start analyzing BSODs. To debug Windows Crash Dumps (BSOD dumps) you’ll need the right tools. We will use Windows Debugging Tools in this learning path. After you’ve downloaded the correct debugging tools, you’ll need to install them. In this post I will use Windows 8 to install them, so if you downloaded the Windows 7 version things could look different. Deselect all options, and only select Debugging tools for Windows. Click the Install button, then wait for the installation to complete. Before you will be able to analyze crash dumps, you’ll need to set up the software, we will cover that part now. WinDbg is now installed and configured to be able to read dmp files created by a BSOD. Opening a BSOD (dmp) file. Another important thing to learn, is how to actually open a BSOD file created on your system and where to find them! 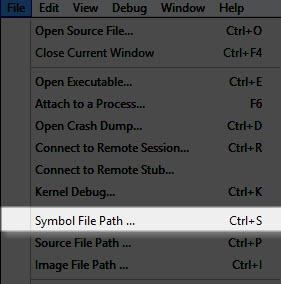 Windows should normally automatically create a dmp file after the system has crashed, this dmp file includes all the information the system was doing at the moment of the crash. A sort of blackbox airplanes have. To continue read “Learning BSOD Analysis: Your first analysis in WinDbg”. Don’t forget to share it on your social media, other people might be interested in learning BSOD Analysis as well!